Twitter turned ten recently and I more than most have thoroughly benefited from its creation. Days such as the Galway Fashion Trial I often take a step back and think “How the hell did I get here”. Having a beautiful breakfast in the salubrious surrounds of the Colm Quinn BMW showroom on the Tuam Road, in the company of almost thirty other bloggers looking forward to day of fashion shows and social media antics I was very glad I decided to send that first tweet. This was the second incarnation of the Fashion Trail so most of us knew what to expect but that didn’t appease the excitement. I doubt any showroom has ever had as many selfies taken in it, this venue was probably the highlight for me, I’ll be in the market for a new motor soon and I know where I’ll be heading, the staff couldn't have been friendly and more engaging. They really got into the spirit of the event, and a few short speeches from our hosts, Patricia from Galway Now and Saibh from ITWBN we were ready to head into town for the first store of the day. 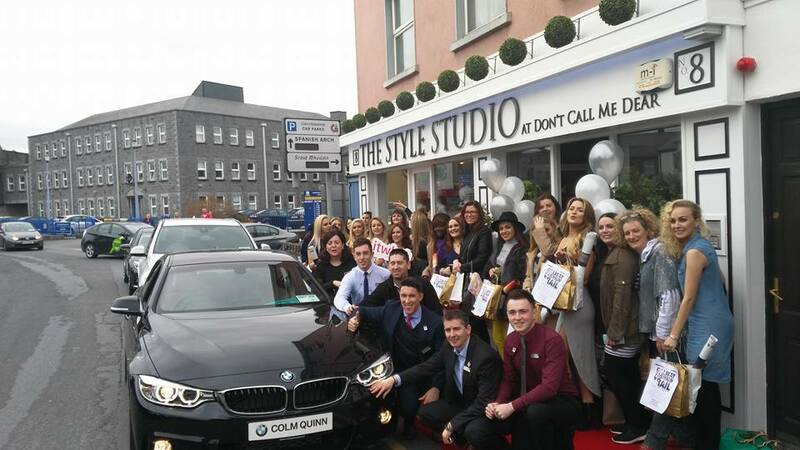 We made our journey in style befitting the occasion, all of the bloggers were driven into Galway in brand new top of the range BMW’s and dropped at the red carpet outside Don't call me Dear. The first fashion show of the day included a number of pieces from Galway Miners, including Mary White who’s actually from Mayo but she’s sound so we’ll let that slide. Don’t Call Me Dear have recently launched their Style Studio. This store had some beautiful pieces its ideal for occasion and wedding wear in particular Mother of the Bride or Groom outfits. We had a well earned and tasty pit stop in the Noddle Hut before moving on to PIA for the second half kick off. As anyone that follows me knows I have great time for Denise and all the PIA girls, their style is always impeccable and this shine through the rails of the store. I think my love of Freddie Jeans my have been noted during the fashion show but this shop is genuinely a gem and I’m thrilled to see it go from strength to strength. Venue number six is a Galway mainstay the Treasure Chest. They had a great mix of clothes here again a mix of casual and wedding wear with Mothers of the Bride/Groom being well catered for here. Suzie Mahony was here with some beautiful headpieces. At this stage any available plug was being used as we were getting more snaps than the paparazzi on the red carpet. For a bit of a change of pace we went to the Eyre Square Shopping Centre, no outfit is complete without a nice pair of shoes and Gosh have definitely got you covered here. A bonus was that they have a terrific selection of mens shoes. The final fashion show of the day was in Collette Latchford in Lydon Court just down from TK Maxx. This is a gem of a shop with a very friendly welcome and a wide selection of clothes with something to suit all tastes. The final stop of the day was thankfully a pub, we gathered in The Skeff a weary but very happy bunch after the day. We were treated to some excellent cocktails and delicious finger food while we recharged phone batteries and indeed our own. Friendships were forged as we traipsed through the cobbled streets and blogging tips shared. Its days like this that make blogging so enjoyable and fun. 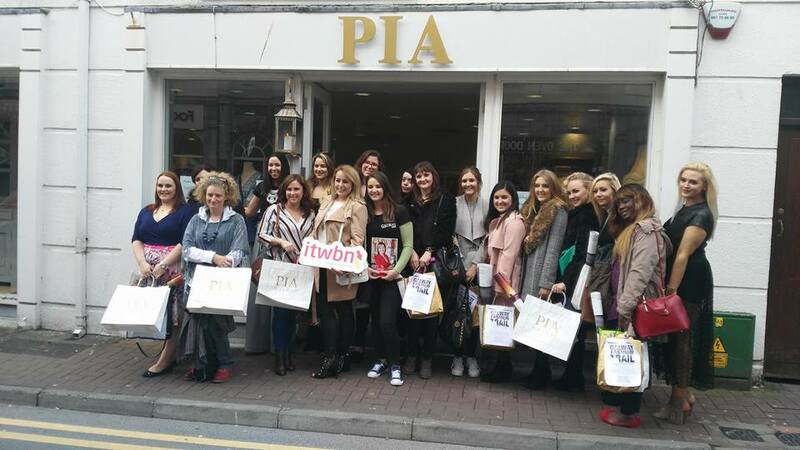 A huge thank you to all the gang at Galway Now, the ITWBN crew, Catwalk Models and of course all the shops on the trail!